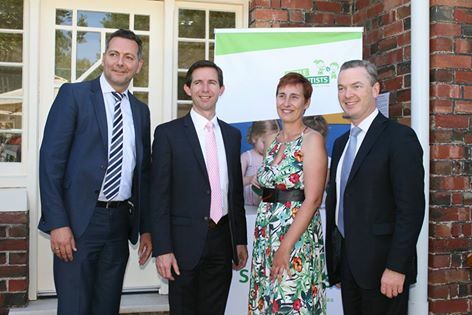 On Friday 5 February Early Years received the Little Scientist House Accreditation in a ceremony attended by Hon Simon Birmingham Minister of Education and Training and the Hon Christopher Pyne Minister of Industry, Science and Innovation. The joint ceremony with St Joseph's Memorial Preschool was held on the front lawn of Ignatius Early Years. The Little Scientist initiative provides professional development for teachers in early childhood to support young children's keen interest in science, technology, engineering and mathematics. Little Scientist supports the notions of play based learning and the competent child.